Fantastic lifestyle in tropical Queensland. AUD$400+million redeveloped, modern hospital with leading edge technology including a completely integrated electronic medical record system. 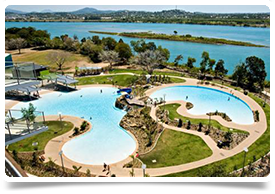 Excellent transport links with direct flights to Sydney (2h10mins), Brisbane (1h20mins), Townsville (50mins) and Rockhampton (45mins) plus connections through to lots of other regional Queensland centres. This is the laidback lifestyle at its best. • Education of medical staff and students, allied health, interested community groups and nursing staff. • Active participation in patient safety, audit, research and service planning activities. • Contribute actively to training, education, quality improvement and clinical review activities within the Department of O&G and in associated clinical activities. • Clinical supervision of junior clinical staff within the O&G Department and participate in the after-hours and weekend provision of anaesthetic services. The department deals with 1400 births annually and are looking for generalists, however they would be interested in hearing from candidates with sub-speciality interests as there may be the opportunity to develop these within the department. Due to the timelines associated with this opportunity, the client is looking for candidates who are in the process of or have completed their Australian College assessment by RANZCOG. 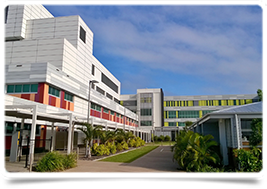 Mackay Hospital has just recently undergone an AUD$408million investment project, expanding services significantly and increasing the bed capacity from 180 to 236 beds currently. The re-development includes a new emergency department, outpatients department, delivery suites and special care nursery, intensive care unit and coronary care unit, day surgery and operating theatre suite, inpatient surgical and medical wards, renal support services, dental, allied health and mental health facilities. It is a digital hospital, equipped with leading edge technology to assist staff to provide the highest level of care and comfort to our patients. It is the first regional hospital in Queensland to have a complete, integrated, electronic medical record. In addition, a $1.5 million MRI (magnetic resonance imaging) scanner allows for more medical imaging on-site. The hospital provides services to a population of approximately 160,000 with 40,000 ED admissions annually. It is the main base hospital for the region, supporting 7 smaller facilities. It provides specialist services in obstetrics, gynaecology, paediatrics, orthopaedics, psychiatry, urology and oncology and many other speciality areas. New services implemented in 2017 included ENT and a Step Up Step Down mental health service.